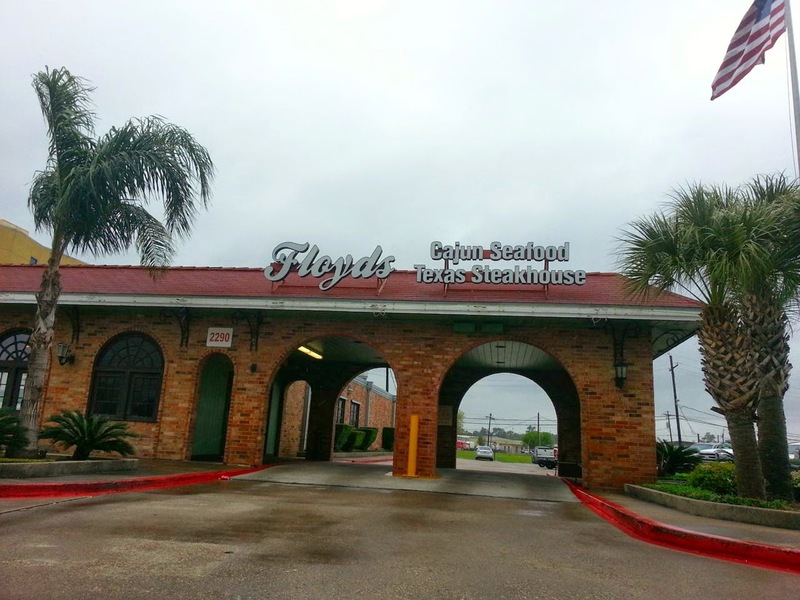 When my husband and I were visiting Texas in 2012, his mom and step-dad introduced us to Floyd’s Cajun Seafood and Steakhouse. We like it so much that we make sure we eat there at least once when we’re visiting Beaumont, TX. I love spicy food. I love Cajun food. I love seafood. If you love any those things, you’ll love Floyd’s! My mother-in-law, husband and I went to Floyd’s for lunch today. It was crowded, but we still got a table right away even though we were there around noon. 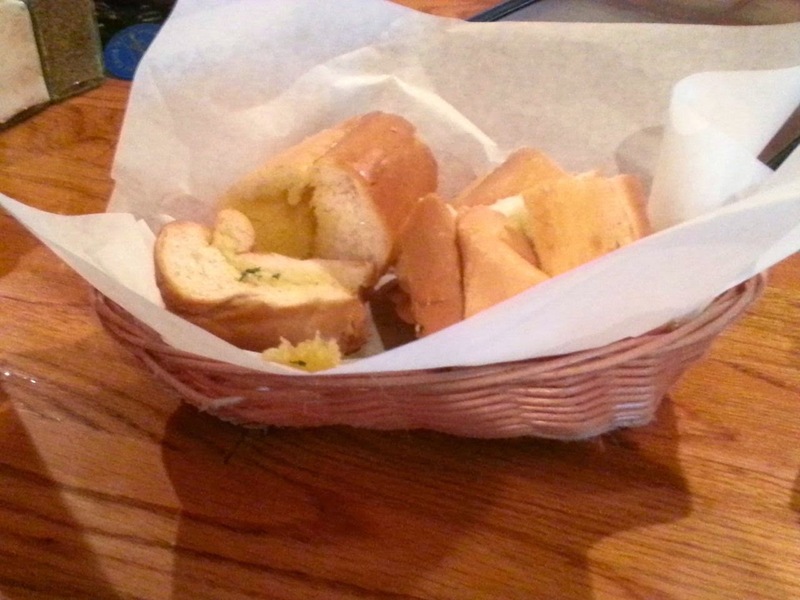 They greeted us with a basket of garlic bread which they brought to the table. I was pretty hungry and practically swooned when I smelled the garlic. I had 3 pieces. So unhealthy, but so delicious! My mother-in-law and I both ordered the same thing. From the lunch menu, we each ordered the Seafood Platter, which comes with 1 catfish fillet, 1 stuffed shrimp, 2 oysters and 2 fried shrimp. You get your choice of everything either grilled or fried. We both ordered everything fried except for the catfish which we ordered grilled. The meal also comes with your choice of one side. I chose green beans. She got a baked potato. When our order was ready, she gave me her catfish, and I gave her my oysters. I already knew I loved Floyd’s catfish from previous visits. It’s so juicy and flavorful. The fried shrimp was big and delicious. I loved it dipped in the provided tarter sauce. 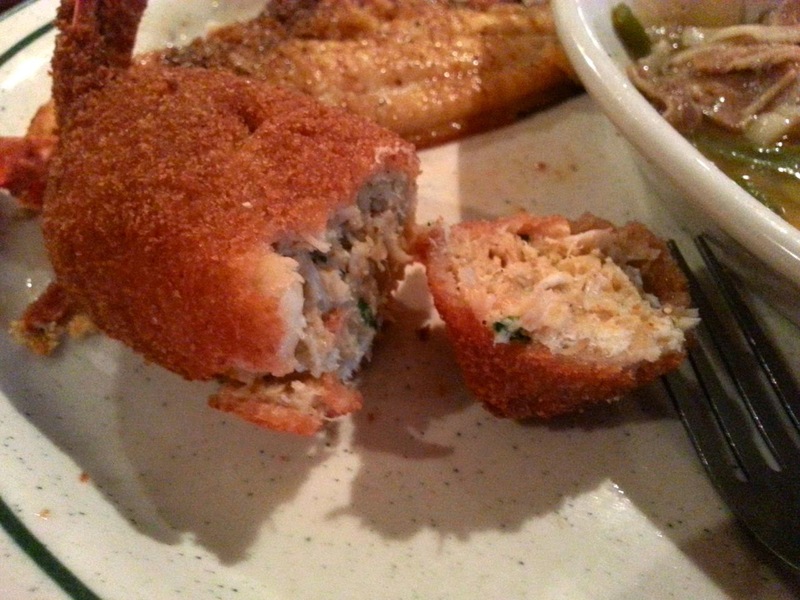 The stuffed shrimp was good. I’m not sure what it’s stuffed with, but it kind of tastes like the stuffing you’d put in a turkey for Thanksgiving. The grilled catfish was still my favorite. But it was too much food. 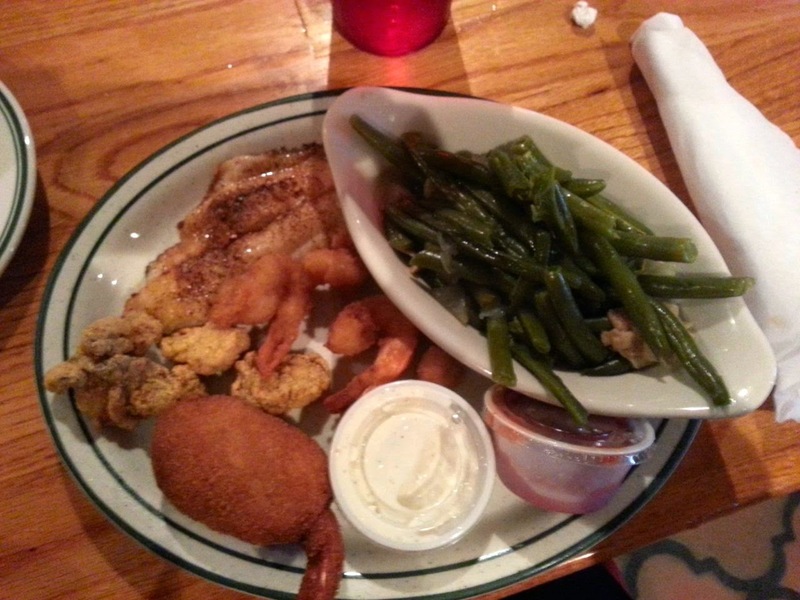 I ended up getting a to-go box for one catfish fillet and most of the stuffed shrimp. My green beans were green beans. I sprinkled them with some of the spicy seasoning blend that was on the table. I’m not sure if it’s TexJoy or not, but it tastes like it. There was bacon in the green beans, but it wasn’t crisp like I like, so I didn’t eat much of it. I didn’t get a picture of my mother-in-law’s potato, but it was really big, and she filled it with butter and sour cream. She mainly just filled up on the potato and oysters and brought the rest home with her. 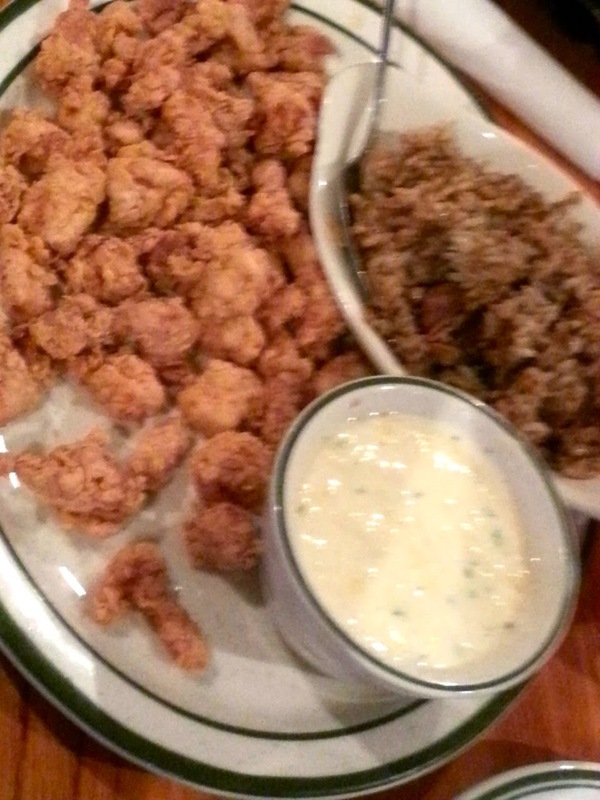 My husband likes to eat unusual food, so he ordered the Fried Alligator, which was chopped up into bite-size pieces. It came with a cream gravy, which he said tasted kind of cheesy. He chose dirty rice for his side. I asked him how he liked the alligator compared to the crocodile he had in Australia. He said that he thought the alligator was juicier, so really, he liked it better, but he said, he likes being in Australia, so that gives the crocodile an edge. He was trying not to eat too much, so he boxed up half of his food before he even started eating. Wise man! I hope we get a chance to go back to Floyd’s. If so, I’m getting more catfish, and I wouldn’t mind trying the scallops. 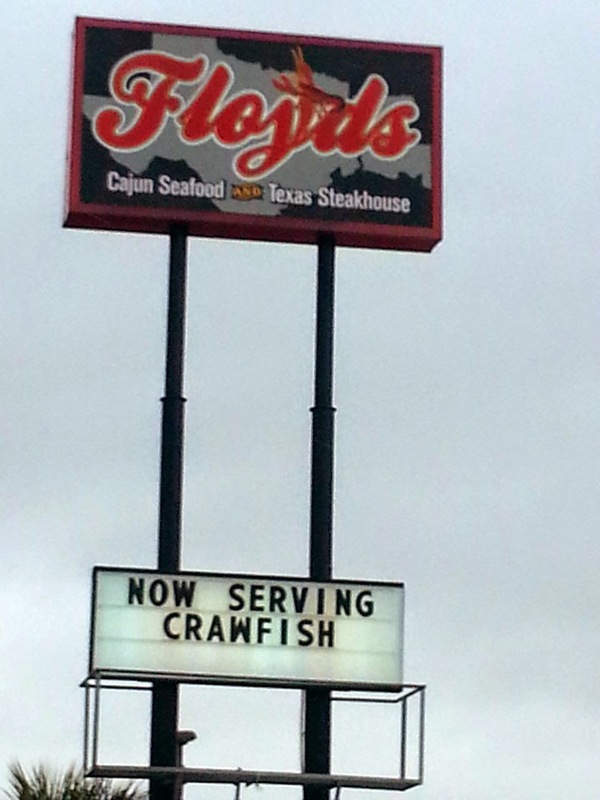 I love visiting New Orleans, but I don’t think you get better Cajun food there than you do at Floyd’s.